With more people priced out of the real estate market, some young people are calling for more housing options. Photo by Jack Landau in the Torontoist Flickr Pool. Toronto housing prices are out of control. We all know that. With double-digit year-over-year price growth for the past decade in many of our neighbourhoods, even the latest cooling that’s been reported by market observers won’t do much to help a generation of renters achieve their dream of homeownership. Not in this city, at least. And increasingly, not in any city within driving distance. Much has been written on the contributing factors to this situation, from the roles played by low interest rates and foreign buyers, to Airbnb hosts and the ill-defined though still-maligned speculators. Much has also been written about the role played by those homeowners that oppose new development: the NIMBYs. A well-worn acronym for Not In My Backyard, NIMBYs are the boomers—mostly—that, well, don’t want you living in their backyard. Or anywhere near their backyard. They’re the Rosedale millionaires up-in-arms about a four-storey condo being developed in their backyard. Or the High Park apartment dwellers that, uh, don’t want any more people dwelling in High Park apartments. “No to double density,” they say. At least, not in their backyard. Prices, as some of us remember from our first-year economics courses, are a function of supply and demand. All else being equal, a decrease in quantity supplied will lead to higher prices. And that’s what NIMBYs are doing, wittingly or not: reinforcing a political climate that rewards supply constraints on new housing. They’re the reason why multi-tenanted housing is illegal in over 60 per cent of the city—the “Yellowbelt” as it’s been dubbed by urban planner Gil Meslin, a reference to the “stable neighbourhoods” marked in yellow in the zoning bylaw map. More specifically, they’re the reason why councillors dare not challenge this state of affairs. They’re established and politically powerful. They own houses, which must be nice, and are obviously not too concerned about the rest of us who don’t. Their worldview demands some opposition. Well, it just so happens that such an opposition group is beginning to emerge in Toronto: the YIMBYs. YIMBY, you might have guessed, stands for Yes In My Backyard. It’s a term used to describe a movement of people throughout North America’s big cities advocating, quite simply, for more housing—even if that housing happens to be in somebody’s backyard, which, of course, it invariably does. They want to see more housing built. They want to see market prices fall. They want Toronto to be more Tokyo than Manhattan, more Houston than San Francisco. 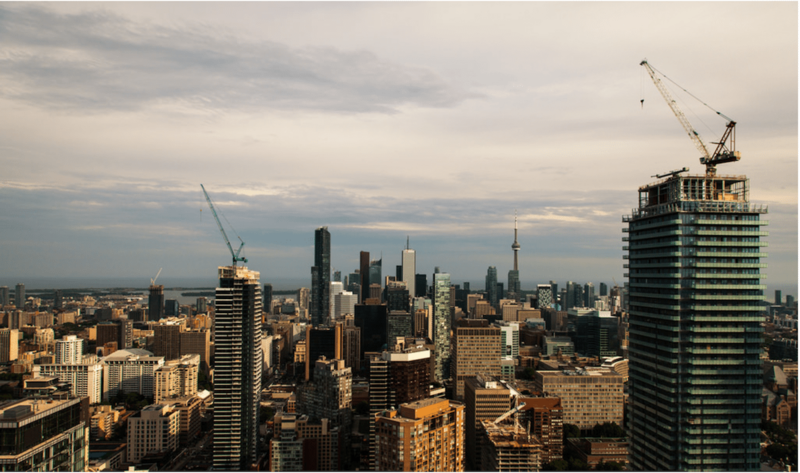 Ultimately, they want young people to be able to participate in homeownership and to preserve Toronto as a city for all—not merely as a playground for the rich. And they’re gaining steam. Next Monday, June 12th, Housing Matters, an organization I manage and Toronto’s first explicitly YIMBY initiative, is hosting a panel discussion on the issue of housing supply and affordability. The Globe and Mail’s Marcus Gee and TVO’s John Michael McGrath will be discussing how smart, young city-loving people are beginning to rise up and push back against the NIMBYs, to question and rebut the implicit claim, encoded in our zoning bylaw, that preservation of neighbourhood character is a more important policy objective than affordability. Building more housing in Toronto necessarily means building denser housing—townhouses replacing single-family detached, mid-rise replacing townhouses, and so on. There’s no way around it, given our geographic constraints. YIMBYs welcome that intensification, and that updating, of what we understand a home to be. NIMBYs do not. If Toronto is to maintain its dynamism and inclusivity, it’s becoming increasingly clear which camp those on the sidelines should be rooting for.